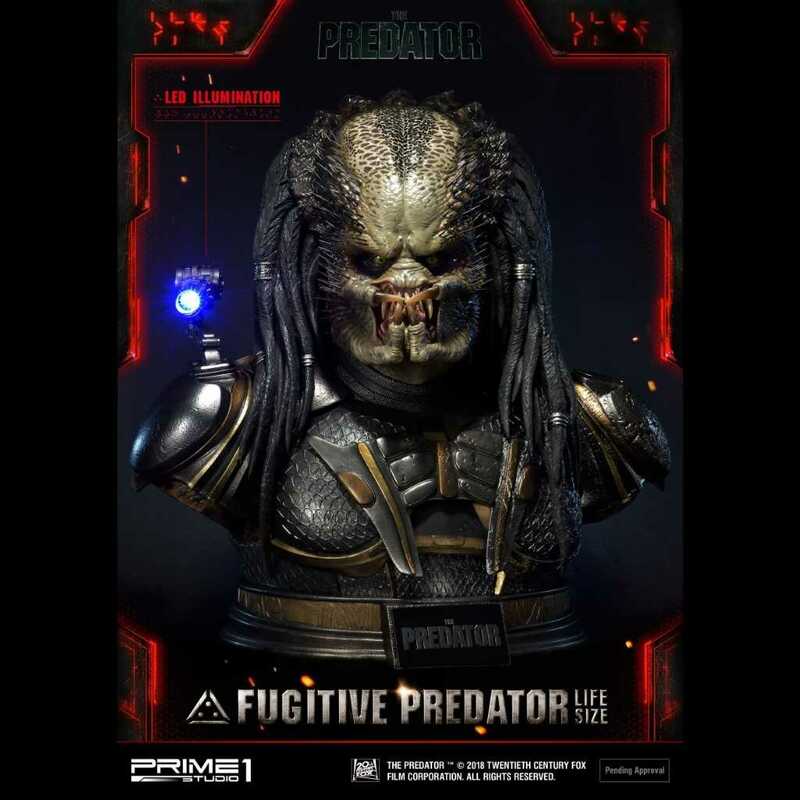 Prime 1 Studio is proud to present this stunning life size bust of the Fugitive Predator from the 2018 film The Predator. 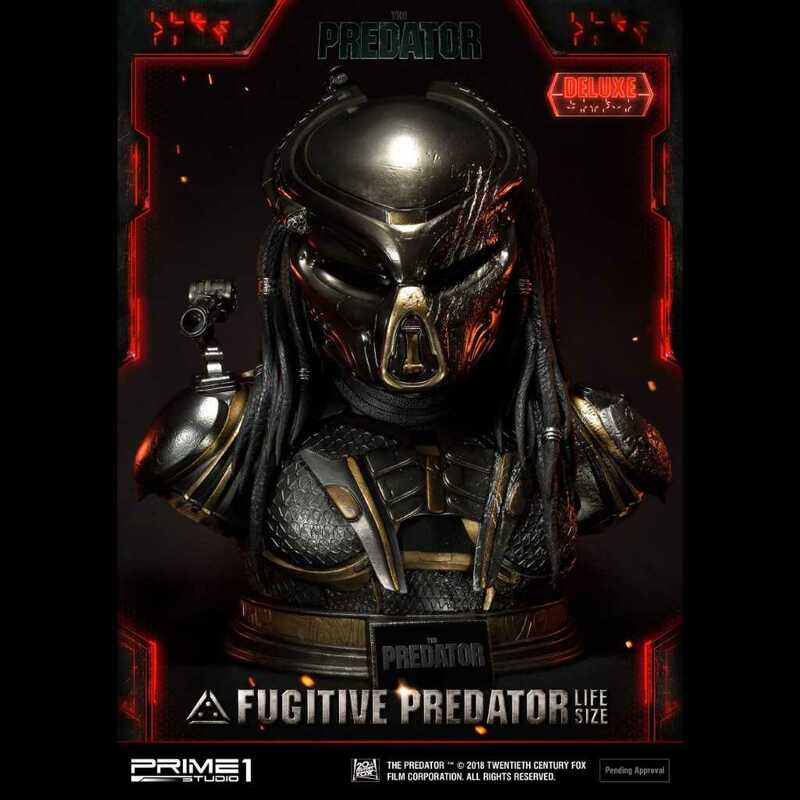 Prime 1 Studio is proud to present this stunning deluxe version life size bust of the Fugitive Predator from the 2018 film The Predator. 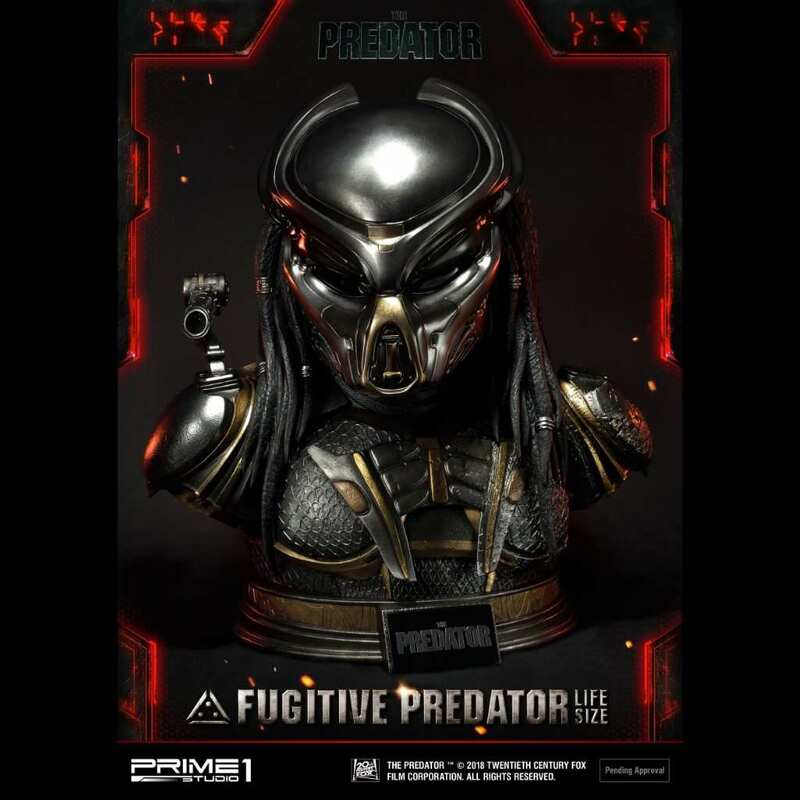 Created using Props 3D digital scan files, this Fugitive Predator bust is the most film accurate Fugitive Predator you will currently find and it will be a show-stopping piece to add to your collection while displaying this with or without one of the Predator Helmets. 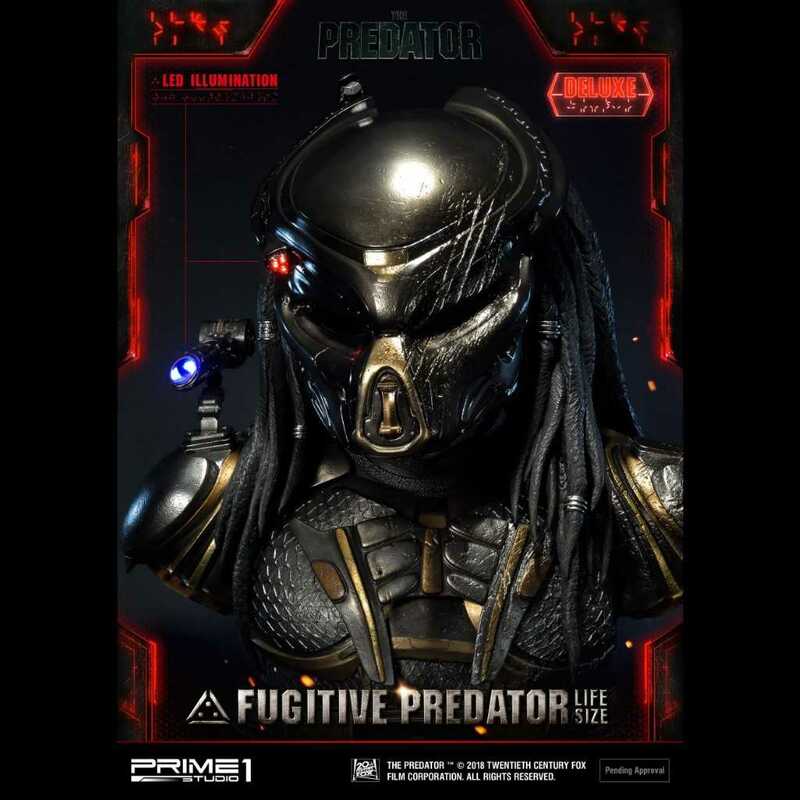 The Predator 2018 science fiction film was directed by Shane Black and is a follow on from the Predator and Predator 2 films and is based before the Predators film. 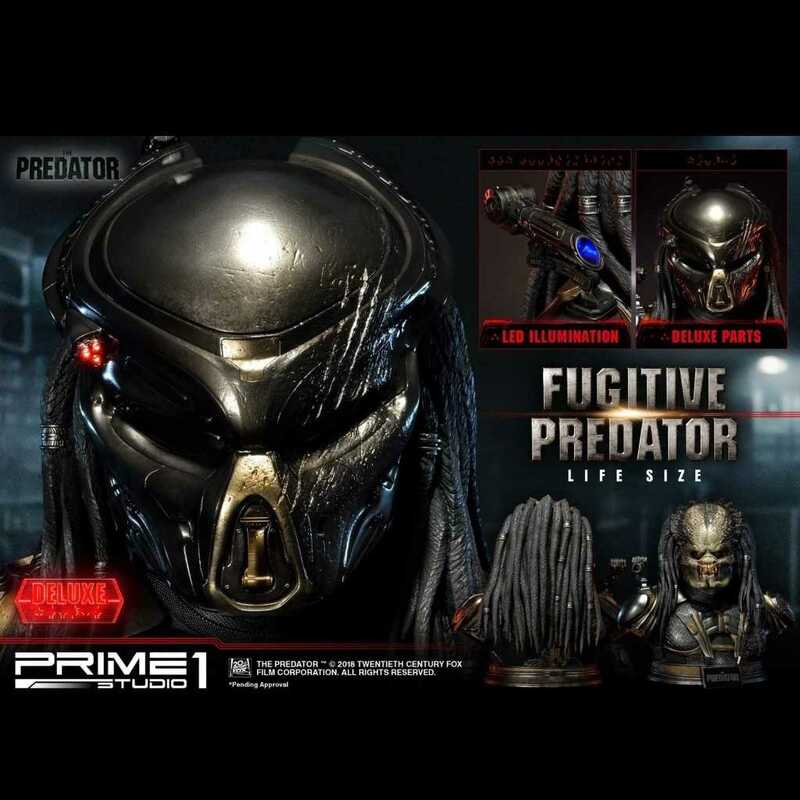 This is a must-have for all Predator fans to display with pride and joy. Comes in a cardboard box with Styrofoam packaging.